Connect – Advance – Lead. Membership in the Accounting & Financial Women’s Alliance (AFWA) promotes the professional growth of women in all facets of accounting and finance. AFWA is also an up and coming Association for Young Professionals with over 52% of our new members under the age of 35. Members increase their career potential by connecting with colleagues, receiving education, leadership development and mentorship to advance their careers. Members have the availability to tap into a network of successful, motivated, and influential professionals who understand the unique position of being a woman in the industry and who, together, contribute to the future development of their profession. Visit AFWA.org for more information. AFWA has served its members for over 80 years. Founded in 1938, we continue to enable women in all accounting and finance fields to achieve their full potential and contribute to their profession. As a thriving organization with empowered professionals our members succeed with passion and integrity. AFWA accomplishes its mission by creating opportunities for women and giving them the tools, and resources they need to succeed. AFWA is the resource for the industry for media, professionals, and outside entities seeking information on women in the accounting and financial fields. Our goal is to improve diversity through a blending of different backgrounds, experiences and perspectives. Through our partnerships we aspire to develop a two-way plan to benefit our members and our partners. 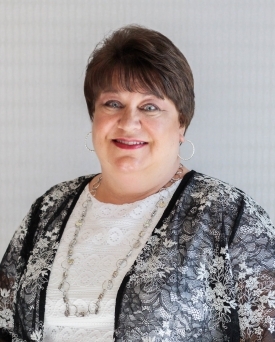 Cindy Stanley joined AFWA as the Executive Director in February 2018. She has over 20 years of experience working with Associations on a local, state and national level. Cindy’s philosophy is that “There’s more than one right answer” and she uses that philosophy to help organizations grow. With her leadership development and strategic planning abilities, she has helped organizations develop and implement strategic plans that provide growth, accountability and fiscal responsibility.